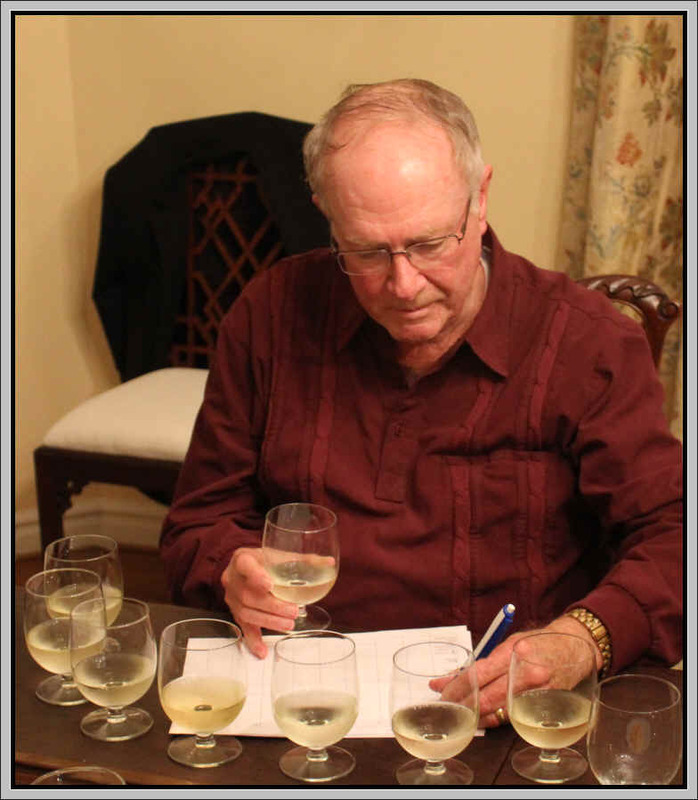 Vino Fino host John McGlothlin did a bit of research to assemble a set of Sauvignon Blanc wines in order to become familiar with the clones called Sauvignon Gris and Sauvignon Musqu�. 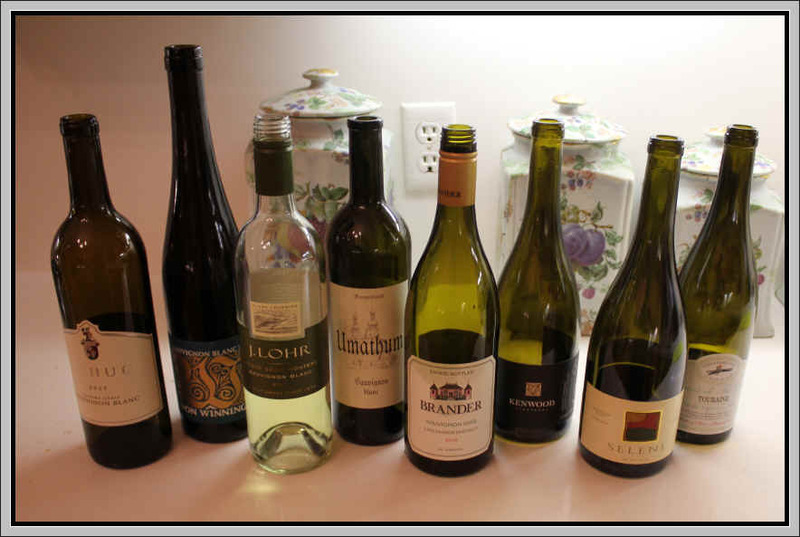 We augmented his selections with a few "wildcards," including an Austrian and a German bottling to the flight of wines. There are numerous clones of Sauvignon Blanc. U.C. Davis, in its vineyard nursery,w features a type of Sauvignon that is said to have been imported in the late 1800s and likely came from Ch�teau d'Yquem in Sauternes. They have a number of other clones of Sauvignon Blanc. Then there is Sauvignon Gris, a pinkish-skinned version of Sauvignon which is thought to come from Bordeaux in France. However, this variety is more easily found in Chile where it can be bottled on its own. 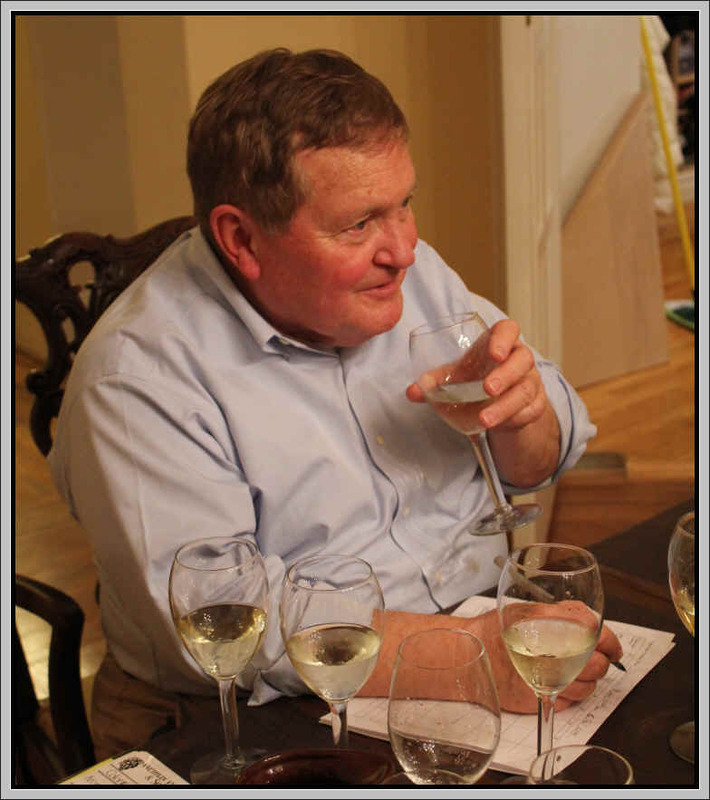 We have had Bordeaux winemakers, though, tell us they use a bit of Sauvignon Gris in their white wines. Further, the grape can be found in France's Loire Valley where it is often called Fi� Gris. A number of Loire Valley domaines do bottle Fi� Gris on its own. The Sauvignon Musqu� likely came from Bordeaux, though it was originally labeled as Savagnin (Musqu�). Savagnin, of course, is a major grape in the Jura, not Bordeaux. Later it's been found to be virtually identical to the Sauvignon Blanc grape, though the Musqu� is characterized as being more aromatic than other clones of Sauvignon. The tasting turned out to be quite good! 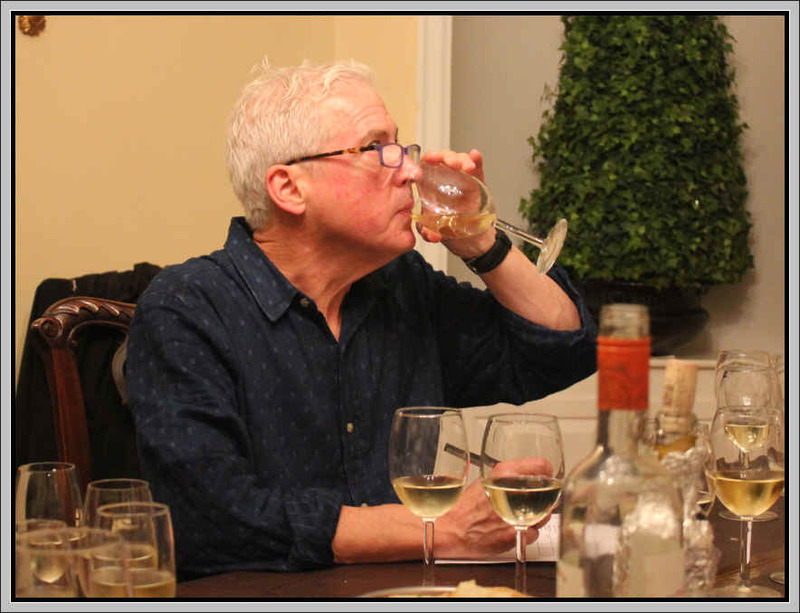 There were no flawed wines in the flight, so the tasters could pick and choose the wines of a style they found pleasing. And the wines had individual characteristics, so we found a nice spectrum of Sauvignon. Clear in appearance and medium- straw in color, this wine was exceptionally aromatic and fruity. I wondered if it was a wine made with the Musqu� clone since it was so intensely fragrant. It's dry and fairly crisp, being light in body. There's an odd element to the flavor which I couldn't capture with a descriptor, but it was perfectly pleasant. The aromas promise more character than I found on the palate. I gave it a one-half star rating on my three star scale, no stars being an ordinary wine of standard quality. 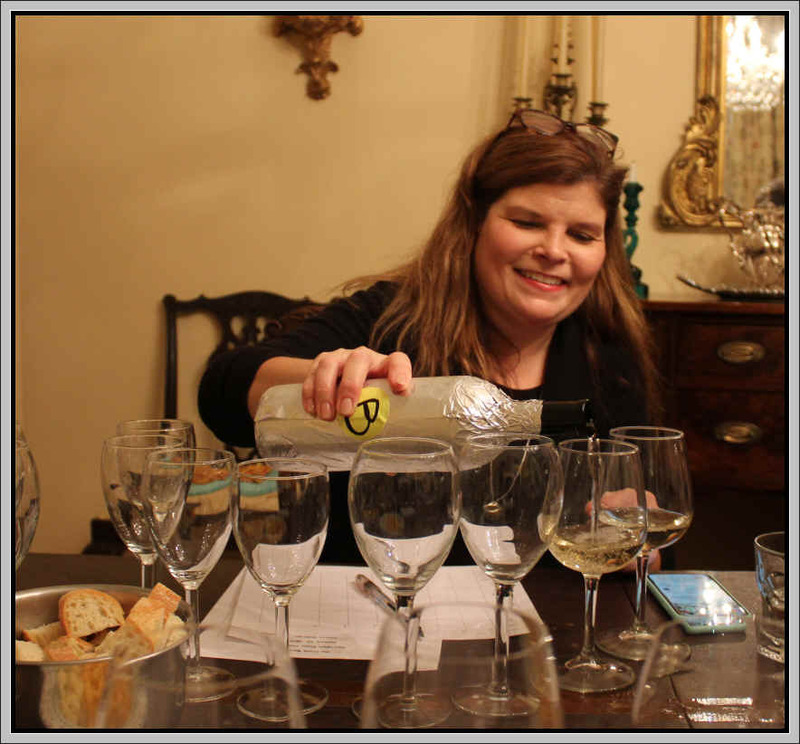 7th Place: SELENE 2014 Carneros SAUVIGNON BLANC "Hyde Vineyards"
Medium+ straw in color and clear in appearance, this wine offers a nicely woodsy element. It's made entirely of the Musqu� clone and winemaker Mia Klein has a particular winemaking trick where the must is inoculated with a particular yeast to start the fermentation and then another yeast is added part way through to assure the fermentation finishes. 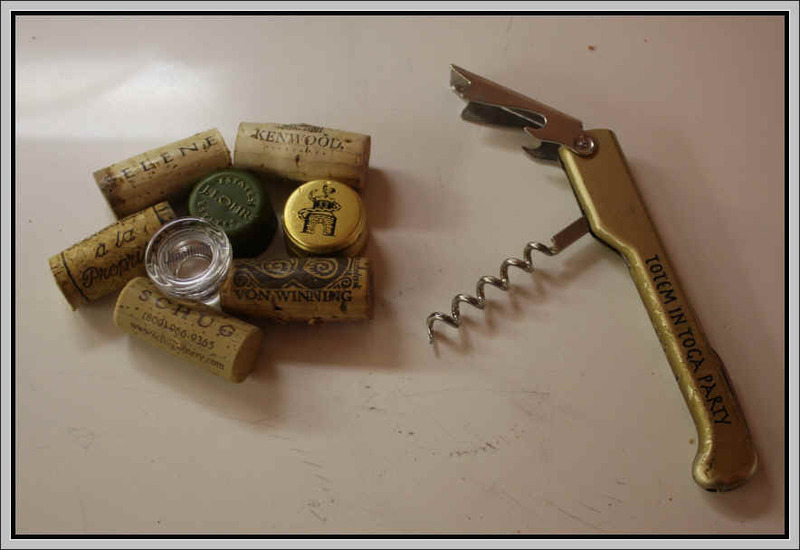 Some of the juice is vinified in wood and a small fraction sees only stainless steel. Being a bit older than the other wines, the toasty notes from the oak really show on the palate. It's dry and crisp with medium+ body. I like the flavors and the length of the wine...I gave this one and a half stars. 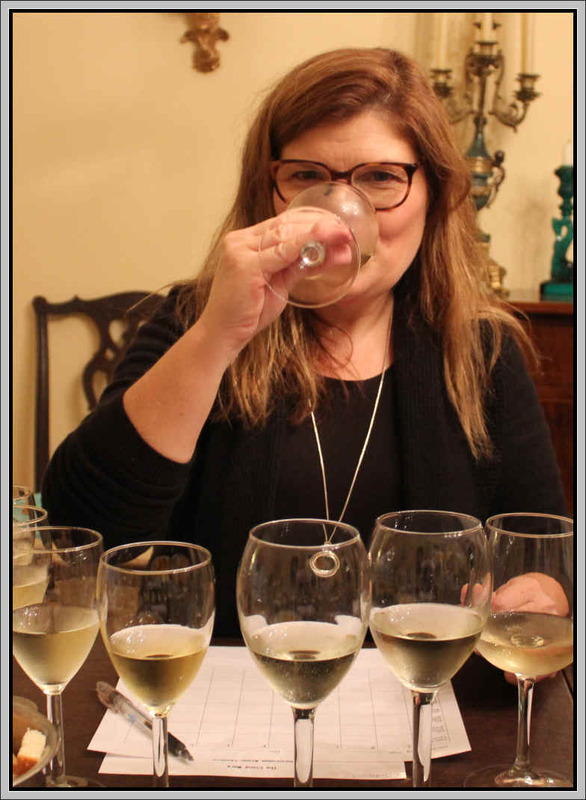 6th Place: KENWOOD 2016 Russian River Valley SAUVIGNON BLANC "Ricioli Vineyard"
Medium straw in color and clear in appearance, the intensely pungent herbal notes of Sauvignon are not for everyone and two tasters ranked this last as a result. I found the wine to be quite good, though and I like that herbal, grassy sort of character. This was dry and crisp, being b=medium-bodied. The grassy, herbal notes come through on the palate, too. I gave it one-and-a-half to two stars. Clear in appearance and medium-straw in color, this wine offered a mildly fruity aroma with lightly citrusy Sauvignon Blanc fragrances. It's dry, crisp and nicely acidic. Light+ in body. It's elegant on the palate with nice length. Crisp at the start but it seemed to flatten out on the finish as it doesn't seem to have the "tension" of other Sauvignons. I still gave it a one star rating. Clear in appearance and medium straw in color, this wine is a shade less herbal than the Kenwood that finished in 6th place...it shows lots of herbal Sauvignon Blanc notes. It's intense in varietal character with crisp acidity and no residual sugar. Medium-bodied and lots of flavor with those herbal notes coming through. The wine retains its zesty, crisp charaxcter all the way on the finish, so I gave this two stars. Very fine! Light+ straw color and clear, there's a mildly herbal fragrance here. It's bright, clean and lightly fruity with a mildly herbal element. On the palate this seems dry and nicely acidic. Medium bodied, I found good Sauvignon flavors and the wine seems more intense on the palate than on the nose. One-and-a-half stars. Von Winning makes several Sauvignons...this is called "1" and it was remarkably complex and quite charming. It's clear in appearance and medium+ straw in color. There's a very fine floral and woodsy fragrance. This seems dry and crisp on the palate and, for me, it was the fullest and most complete wine. Very lengthy and quite attractive in terms of flavors and fragrances. Two-and-a-half stars. Clear in appearance and light straw in color, there's a mildly citrusy element on the nose to this Sonoma Sauvignon. I found it to be nicely acidic and thought there may be a tiny bit of sweetness, but not detracting from the wine. It's a nicely balanced wine...I can understand tasters being attracted to this. I didn't find it to show the intense, no-holds-barred sort of Sauvignon of a number of other wines in the flight. I gave it a one star rating.